Our Chippenham Little Pips had some very exciting visitors today! 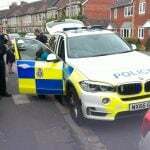 We were very pleased to welcome two police officers and their patrol car to our nursery. The children had a fantastic time learning about the helpful things that police officers do and also having the chance to sit in their car and press all of the exciting buttons! Shannon (one of our ladies) even had the chance to wear the body vest which she was very excited about! 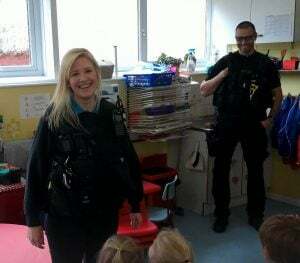 The children gave their fantastic thank you cards and some chocolate biscuits to the officers at the end of the visit. It was a fantastic morning, enjoyed by everyone.